Soba, noodles made of buckwheat flour, is a very simple, popular dish in Japan. 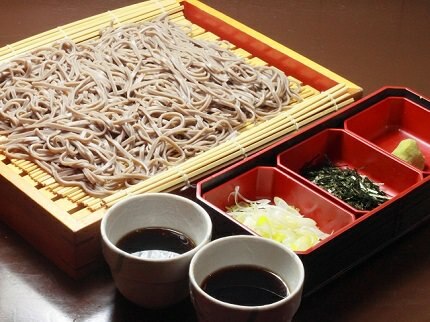 In its most simple form, kakesoba, it is served cold with cold dipping sauce called tsuyu. 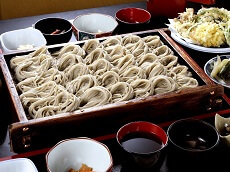 Soba can be served cold, as in the case of kakesoba or in a hot soup, also consisting of tsuyu. 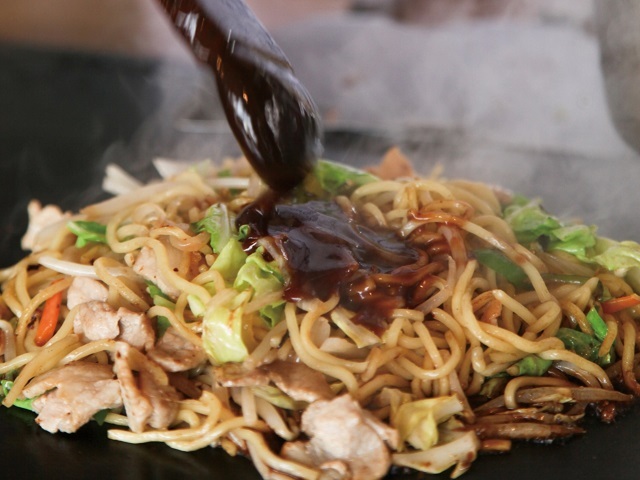 When eating cold soba, the noodles are typically served on the side and dipped in the tsuyu. 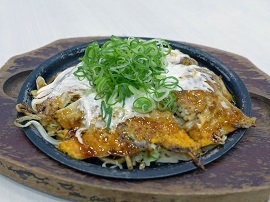 Diners can add toppings like wasabi, nori, or natto into the tsuyu, or enjoy it plain. 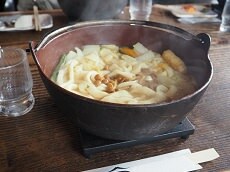 On the other hand, Warm soba serves the noodles in the warm tsuyu soup instead of on the side. 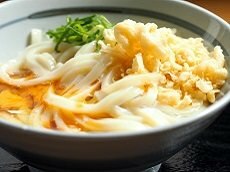 There are also many variations of soba, including soba in warm soup with grated yam or soba served with tempura. 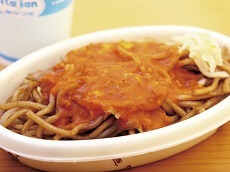 Although the name soba appears in other noodles like yakisoba , the term soba is sometimes referred to as just noodles. 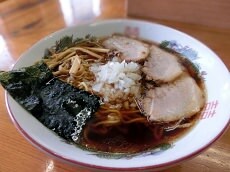 However, the proper definition of soba would be noodles specifically made from buckwheat flower. Another popular variation of soba beloved by green tea fans is green tea soba or Matcha Soba. The buckwheat flower is mixed with green tea powder when forming the dough, resulting in green noodles with a hint of Japanese green tea. 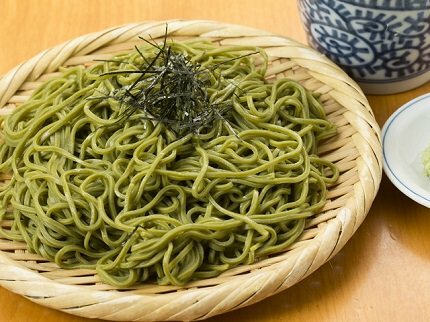 This style of Japanese soba has become increasingly popular as the numerous health benefits of green tea have become more apparent in recent years. 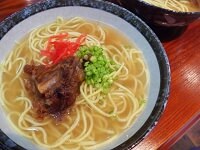 The trend of serving green tea-inspired noodle dishes is becoming more common in Japan. If a green tea ceremony isn't enough matcha during your vacation with Japan Deluxe Tours, why not add a soba restaurant with matcha soba for the ultimate green tea vacation. You can also customize your package with our affordable line of add-on's and day trips to include a day of green tea leaf picking, tea sampling, and of course, matcha soba!